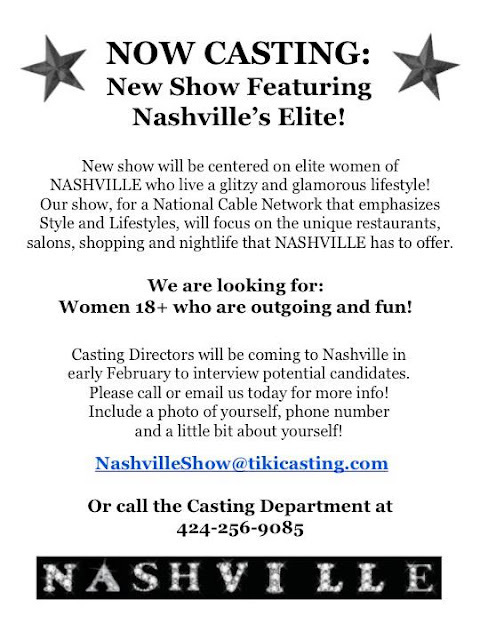 Mr. Nashville: Real Housewives Of Nashville??? Maybe? I know one of the production companies involved with Bravo's Real Housewives franchise was feeling out the possibility of adding Nashville to their family. It was rumored that TNA wrestler, Dixie Carter, was in the running to be one of the Nashville Housewives. I can think of several women that would make great additions to the series. I wish I were casting the show! Unsure if the casting call below is for the same series or idea, hope so. I mean Nashville, home of the three R's; Rhinestones, Religion, and Really Big Hair! Ladies of Nashville, jump on this call, lets bring it on Nashville!